This article takes a detailed look at some highly irregular actions taken by Fulton State Court Judge Susan Edlein in actions that appear to have protected Attorney General Sam Olens, consistently over the course of two years, from being added as a party and having claims brought against him in a pending Georgia RICO action. Justice is supposed to be blind. Judges aren’t supposed to be when it comes to justice. Judges have taken control of the “right” to assert your guaranteed rights, i.e., they are no longer inalienable as guaranteed in the Constitution. You have them only when a judge feels like letting you have them. If he or she doesn’t, you don’t. There is really nothing you can do other than pray for a shot at a Grand Jury. Effectively, judges “dispense” our rights at their whim and pleasure with total impunity. Unfortunately, ordinary citizens have no other means to enjoy or enforce their civil rights except through that same court system. What this means is that without a mechanism for remedy, (the court) you have no rights. If a judge refuses to order relief, then you don’t get any. Therefore, citizens have no choice but to (literally) pray to a judge for leave to assert their rights. Where their prayers are denied, their rights are denied. You be the judge if Judge Susan Edlein has acted according to her sworn duties to dispense impartial justice. That Georgia RICO action stems from former UGA President Michael Adams’ failed attempt to revoke the tenure of Adams’ outspoken critic, Professor Dezso Benedek, with knowingly false charges and knowingly manufactured evidence and perjured testimony offered against Benedek by the Attorney General–as found by a hearing committee that dismissed the tenure revocation charges against Benedek after a three-day evidentiary hearing. Judge Susan E. Edlein, presiding over the RICO action that followed when the Board of Regents ignored extensive documentation of the evidence tampering, consistently barred Attorney General Sam Olens from being added as a party to the RICO action and having claims brought against him for making knowing misrepresentations to obstruct an independent investigation of evidence tampering in his own office–similar to the concealing of documents for which the Attorney General was recently fined in the Kalberman-Ethics Commission case (in which the Attorney General withheld documents implicating the Governor’s office in an attempt to pressure the Ethics Commission to drop an ethics complaint against Governor Nathan Deal). But the present case is far worse than Kalberman since the Attorney General actually called witnesses to give knowingly false testimony under oath that directly contradicted the material evidence, from UGA’s own records, that the Attorney General was attempting to conceal in the failed attempt to revoke Professor Benedek’s tenure. 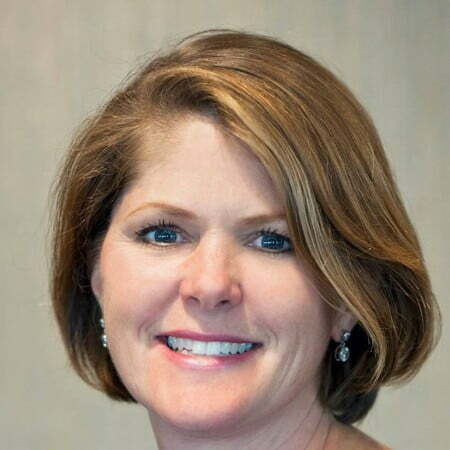 When, after two years of barring claims from even being filed against Olens, Judge Edlein began repeating the same blatant errors of law for which she had already been reversed by the Georgia Court of Appeals, Benedek’s counsel learned upon cursory investigation that Susan Edlein bears close personal, political, and financial ties to Sam Olens. Benedek then filed a motion to recuse Edlein as the judge in the RICO case, along with the supporting affidavit required by law. Judge Edlein denied the motion to recuse, falsely claiming the supporting affidavit was not filed, contradicting the plain public record in the case. Benedek then filed a mandamus petition in Fulton Superior Court to force Edlein to follow the most basic, ministerial requirements of law in her conduct of the case. In response to that petition, Edlein allegedly made knowingly false representations to the Fulton Superior Court to obscure her actions in protecting Olens from claims for Olens’ own knowing misrepresentations made to obstruct an independent investigation of evidence tampering by his office. Now there is an independent lawsuit pending against Susan Edlein for her own alleged knowing misrepresentations, outside the jurisdiction of her own court, in her responses filed in Fulton Superior Court, and for her bad faith claims for damages against Professor Benedek–in an attempt to intimidate Benedek that is explicitly prohibited by statute. Olens is a named defendant in a related case filed in DeKalb Superior Court for the Attorney General taking similar actions in connection with the fraudulent ouster of Anthony Tricoli as President of Georgia Perimeter College in 2012. That case is presently in front of the Court of Appeals after the trial judge found the defendants enjoyed sovereign immunity against civil Georgia RICO claims that they knowingly falsified state agency budget reports (which is documented, admitted, and undisputed) to conceal illegal use of state and federal funds, and then fraudulently blamed the resulting $9 million shortfall on Dr. Anthony Tricoli. Attorney General Sam Olens is not prosecuting the defendants who admittedly falsified state agency budget reports, a felony, but is defending them in the civil action instead. Governor Nathan Deal has now ignored three requests to appoint an independent investigator. Below is a detailed summary and timeline of the events to date. Judge Edlein never ruled, over the course of two years, on a motion for sanctions against Attorney General Sam Olens for knowing misrepresentations of law and fact. Edlein delayed ruling on a motion to add parties to the lawsuit, knowingly giving witnesses to evidence tampering in the Attorney General’s office time to leave the state and evade being served a summons to appear in court to testify against the Attorney General. Edlein set a hearing on the issue of the escaping party-witnesses—but set the hearing for a time after which she knew the witnesses would have already left the state. Edlein kept control of the case and prevented Benedek from re-filing in a different court, after he gave notice of his intent to do so to prevent the witnesses from leaving the state to avoid testifying, by entering an order dismissing his case before he could move it to another court—and before the parties even filed legal arguments on the pending claims. Judge Edlein’s dismissal order “denied” RICO amendments to the complaint—which included claims based on evidence tampering by the Attorney General in former UGA President Michael Adam’s failed attempt to revoke the tenure of Professor Dezso Bendek–even though Georgia law gives trial judges no discretion to prevent amendment of claims prior to trial. Based on her denial of the amended RICO claims, contrary to Georgia law, Edlein denied the plaintiff’s motion to add the defendants corresponding to the RICO claims and dismissed the case in its entirety. 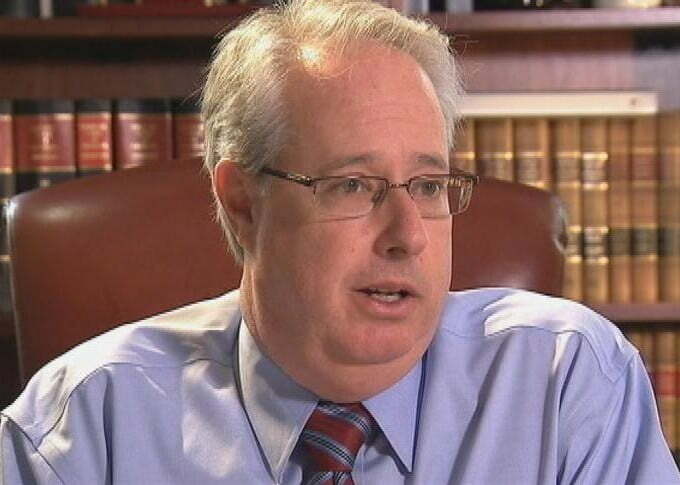 With the claims against him dismissed by Edlein, Georgia Attorney General Sam Olens engaged in a campaign of misrepresentations, both public and private, about the documentation of evidence tampering in the Attorney General’s office—for the express purpose of obstructing an independent criminal investigation. When the Georgia Court of Appeals reversed Edlein’s illegal “denial” of Benedek’s amended RICO claims, Edlein issued an ex parte order barring the deposition of Defendant Michael Adams to question him about documents tying Adams to the evidence tampering by the Attorney General. Edlein then entered a second order dismissing the entire case—even though the original amended complaint “denied” by Edlein still had never even been briefed by the parties. This second dismissal order also cut off an amendment to the complaint based on Olens’ obstruction of an independent criminal investigation. Judge Edlein entered the second dismissal order on July 23, 2015, before the amendment against Olens was due to be filed on July 27, 2015—even though, again, a judge has no power or discretion under Georgia law to prevent an amendment from being filed. The second dismissal order also barred adding Olens as a party-defendant to the RICO claims—on the same false grounds, already reversed by the Court of Appeals, that Benedek was not entitled to amend to add RICO claims. In her answer to a mandamus petition subsequently filed against her to require her to follow the basic ministerial requirements of the governing statutes, Edlein falsely denied knowing that her second dismissal order would pre-empt amended claims from being brought against Olens—when she entered the dismissal order on July 23, before the amendment she had notice of was due to be filed on July 27. Benedek then learned that Edlein had personal, political and financial connections to Sam Olens. Olens was conducting the defense of the case against Adams and the Board of Regents. More importantly, Edlein’s questionable rulings were preventing Olens from being added as a defendant and having RICO claims brought against him. The ties between Olens and Edlein included the fact that Edlein and Olens shared a key political operative in their election campaigns, indicative of their close Republican party alliance. In addition, Sam Olens had steered over a million dollars in business to Edlein’s former law firm during the time she was a revenue-sharing partner there. Based on these conflicts of interest and grounds for the bias already demonstrated by Edlein, Benedek filed a motion to recuse Edlein as the judge in the case within five days of learning the information, along with a supporting affidavit, as required by USCR 25. Edlein denied the motion to recuse, falsely claiming that Benedek had not filed the required affidavit. Edlein then denied that she falsely ruled that Benedek did not file the affidavit. The affidavit falsely denied by Edlein is the only evidence of the timeliness of the filing of the motion to recuse. Yet Edlein also ruled the motion to recuse itself was not filed on a timely basis—by ignoring the evidence of the affidavit she falsely claimed was not filed by Benedek. Edlein then denied that she employed these false grounds to rule that the motion was not timely. Edlein’s false denials in response to the mandamus petition, concealing her efforts to illegally bar claims against Olens for obstructing an independent investigation, were made outside the jurisdiction of her own court. Edlein also attempted to bring claims against Benedek for monetary damages, for suing her as a judge, even though Edlein’s attempted claim against Benedek is explicitly barred by statute in the case of a mandamus petition. Dec. 5, 2013 – Professor Dezso Benedek filed amended Georgia RICO claims, in the case presided over by Judge Edlein in Fulton State Court, for evidence tampering and subornation of perjury in then-UGA President Michael Adams’ failed attempt to revoke the tenure of Professor Benedek, an outspoken critic of Adams. At the same time, Benedek filed a motion to add to the amended Georgia RICO lawsuit the RICO parties, including Georgia’s Attorney General, who was found, in the failed attempt to revoke Professor Benedek’s tenure, to have concealed critical documents and offered knowingly false evidence and testimony. Jan. 29, 2014 – Benedek filed a motion for sanctions against the Attorney General for intentional misrepresentations of fact and law in defense of the RICO claims. The motion remained pending throughout 2014 and 2015, without Judge Edlein ever addressing the substance of the motion for sanctions—though the Attorney General subsequently abandoned the disputed representations, tacitly admitting they had no arguable basis in fact or law, as stated in the motion for sanctions. March 24, 2014 – Benedek filed additional amended RICO claims, to which no responsive pleading was ever filed by the Attorney General. April 2014 – Judge Edlein still had not ruled on the motion to add parties filed back in early December. Benedek advised the court, via motion seeking an expedited ruling, that some of the proposed defendants are moving out of state and will be gone from Georgia by May 9—without being served with a summons making them a party to the case if the judge does not rule on the motion to add parties, which should be permissively granted according to the law on adding parties. Judge Edlein set a “phone conference” to address the matter, but canceled it when a CBS reporter asked for access to Edlein’s attempt to address the matter over the phone without a court reporter to record the proceedings. After cancelling the phone conference, Judge Edlein then set a hearing for May 15, to address the matter of proposed defendants she had been given notice were due to leave the state by May 9. The proposed defendants included Jane Gatewood, who had already given sworn testimony that the Attorney General concealed material evidence and suborned perjury in the failed attempt to revoke Professor Benedek’s tenure. Gatewood did, aided by Judge Edlein’s delay and inaction, leave the state and avoid attempts to serve her and bring her to court to testify against the Attorney General. Benedek gave Edlein notice he would voluntarily dismiss the case and re-file in another court against the parties he wanted to add if Edlein did not expedite a long-overdue ruling on the motion to add parties. That would allow Benedek to initiate the action in a different court, without seeking permission, to add whatever claims and parties Benedek wished. To prevent that from happening, and remain in a position to protect Olens from having claims brought against him, Edlein acted pre-emptively to dismiss the case, two weeks prior to the scheduled hearing. Edlein’s dismissal order prevented Benedek from voluntarily dismissing and re-filing in a different court. 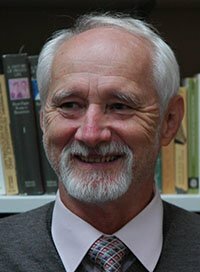 May 2, 2014 – Judge Edlein entered the order dismissing the entire case by “denying” the amendments to the complaint, even though Georgia law allows amendment up until time of trial and gives judges no discretion whatsoever to deny amendments. The dismissal order, entered prior to the scheduled May 15 hearing, “mooted” the question of proposed defendants leaving the state, the motion to add them as parties, and the motion for sanctions against the Attorney General for misrepresentations of law and fact. Oct. 31, 2014 – Since Judge Edlein’s order also stated that the Attorney General enjoyed sovereign immunity to any civil lawsuit based on the criminal evidence tampering, identity fraud, and other felonies documented in the failed tenure revocation attempt, Benedek wrote to Governor Deal seeking appointment of an independent investigator to look into the violations of the Georgia Criminal Code. Deal never responded to the request to appoint an independent investigator, but Attorney General Sam Olens made repeated knowingly false statements that there were no credible allegations or evidence to support them, though Olens was in the possession of the documentation from UGA records supporting claims of evidence tampering in his office. Olens also contradicted himself—for purposes of deterring an independent investigation—by alternately claiming (1) that there was never any need to investigate the “nonsensical” allegations, and (2) that the allegations had already been fully investigated. March 24, 2015 – the Georgia Court of Appeals reversed Edlein’s order “denying” the RICO amendments. The appeals court found that “denial” a clear violation of Georgia law and sent the case back to Judge Edlein in Fulton State Court to consider Benedek’s “effective complaint,” the March 24, 2014 amendment. July 13, 2015 – Upon return of the case to the trial court presided over by Edlein, Benedek served Defendant Michael Adams with a notice of deposition to question Adams about documents showing he had notice of UGA officials falsely logging onto computer networks in the name of UGA students and impersonating UGA students online to create a false paper trail to discredit Benedek, and that the Attorney General knowingly presented this evidence manufactured in violation of criminal identity fraud, mail fraud, wire fraud, and computer fraud statutes in the attempt to destroy Benedek’s career and livelihood by revoking his tenure. July 21, 2015 – The Attorney General filed a written motion to quash the deposition of Michael Adams and subpoena to produce documents. Judge Edlein granted the motion to quash before receiving and without ever reviewing Benedek’s written response that was ready the same day the motion to quash was filed. On the same day, Judge Edlein conducted yet another “phone conference.” Conducting court business over the phone to once again prevent it from being recorded, Edlein stated her intent to rule on the Attorney General’s motion to dismiss without hearing arguments by the parties, claiming the motion had already been “fully briefed” by all parties prior to the initial dismissal order Edlein had issued over a year and a half before. In response, Benedek’s counsel pointed out that the amendment held to be the effective complaint by the Court of Appeals had never been addressed in any written pleading by the Attorney General, and thus was not “fully briefed.” Benedek’s counsel also advised that Benedek was filing an additional amendment to the lawsuit, including claims based on Attorney General Olens’ misrepresentations to obstruct an independent investigation. Judge Edlein inquired about the timing and was advised the amendment would be filed the coming week of July 27. Over the phone, Edlein advised Benedek’s counsel to go ahead and file the amendment. July 23, 2015 – Before Benedek could file the July 27 amendment, however, Judge Edlein disregarded what was said over the phone without a court reporter present and entered an order dismissing the entire case– to cut off amended RICO claims against Olens for the second time. Edlein also denied the motion to add Olens as a party, for the second time, because she said Benedek did not have an “excuse” to add the RICO claims. This repeated the same blatant error of law for which Edlein had just been reversed by the Court of Appeals, and she did all this to once again protect Olens from having claims brought against him—first for evidence tampering and then for obstructing an independent investigation. August 14, 2015 – Benedek filed a Petition for Mandamus against Judge Edlein in Fulton Superior Court in order to require Edlein to follow the basic, non-discretionary requirements of the statutes governing amending claims and adding parties. (The clerk did not enter the petition until August 19). August 18, 2015 – Benedek’s counsel learned that Sam Olens, when he was Chairman of the Cobb County Commission, steered over a million dollars in business to Edlein’s former law firm during the time she was a revenue-sharing partner there. In addition, Benedek’s counsel learned that Edlein’s former law partner—who was previously the Governor’s executive counsel and served on the judicial nominating commission through which the Governor appointed Edlein to her judgeship—served both as Edlein’s re-election campaign manager and as a member of Sam Olens’ transition team when he entered office as Attorney General. August 21, 2015 – Based on this information–concerning personal, political and financial connections between Edlein, the judge in the case being defended by Olens as Attorney General, and Olens, who was at the same time being protected from having claims brought against him in the same case by Edlein’s illegal orders—Benedek filed a motion to recuse Judge Edlein from the case due to these grounds for her previously-demonstrated bias. This motion to recuse was filed within five days of learning the concrete grounds for Judge Edlein’s demonstrated bias, as required by Uniform Superior Court Rule (USCR) 25. Since the motion was filed by Benedek’s counsel from Havana, Cuba, where counsel has long conducted US State Department business, the motion was not accompanied by an affidavit satisfying US legal requirements, as required by USCR 25. Instead, the motion included a declaration verifying the facts contained in the motion as true (which serves the same purpose as an affidavit), along with a statement that an affidavit meeting the requirements of USCR 25 would be filed as soon as possible. August 25, 2015 – The supporting affidavit of Stephen Humphreys was, in fact, filed on this day—within five business days of learning of the grounds for recusal, in complete satisfaction of the requirements of USCR 25. The affidavit verified and served as the only evidence of the timing of learning of the grounds for recusal. Despite the timely filing of this affidavit, establishing the timeliness of the filing of the motion itself, Judge Edlein entered an order on the same day denying the motion to recuse for purported failure to file the affidavit, and for purported failure to establish the timeliness of the filing of the motion itself—though there was no evidence in the record to contradict the affidavit on this point. Edlein ignored the only evidence to rely on pure conjecture to deny the motion to recuse. Sept. 20, 2015 – Judge Edlein filed in Fulton Superior Court an Answer to the Petition for Mandamus denying she knew Jane Gatewood was leaving the state by May 9 when she set a hearing in the case for May 15, and then dismissed the entire action on May 2, before the hearing could be held. Judge Edlein further denied in her Answer that she knew Benedek intended to file an amendment to his complaint on July 27 when Edlein entered an order pre-empting that amendment by dismissing the entire case, on July 23, before the amendment could be filed. Judge Edlein further denied in her Answer that she knew Benedek intended, in the July 27 amendment, to bring claims based on Olens’ misrepresentations to obstruct an independent investigation when she pre-empted that amendment by dismissing the entire case, on July 23, before the amendment could be filed. In addition, Judge Edlein sued Benedek for monetary damages for supposedly bringing a meritless mandamus petition against her as a judge under OCGA 9-15-15, even though that statute explicitly prohibits such a claim by a judge in the case of mandamus action. Oct. 17, 2015 – Benedek filed an amended Petition and Complaint in which he brought bad faith claims against Edlein for knowingly misrepresenting her conduct—undertaken to shield Sam Olens from claims of obstructing an independent criminal investigation—and for bringing claims for money damages against Benedek that were explicitly barred by statute–for the sole purpose of harassing and intimidating Benedek. Nov. 16, 2015 – Judge Edlein filed in Fulton Superior Court a responsive pleading denying that she denied the motion to recuse on false grounds. Judge Edlein also denied attempting to bring damages claims against Benedek under OCGA 9-15-15. She argued that it was a typographical error, and that Edlein meant to bring the claim against Benedek under OCGA 9-15-14 (the general statute for frivolous claims), instead, even though Edlein’s original pleading based the damages claim on her status as a judge, consistent with OCGA 9-15-15. Moreover, OCGA 9-15-15 also explicitly bars the claim against Benedek for filing a mandamus action, even if Edlein did attempt to circumvent OCGA 9-15-15 by bringing the claim under a different statute. Judge Edlein also denied that there were any grounds for recusing herself in the original action against her close political ally and financial benefactor, Sam Olens, with whom she recently sat for dinner at the Governor’s Ball. Interesting piece ! Coincidentally , if anyone is wanting a DoL OWCP-1168 (expired) , my kids filled out a fillable version here https://goo.gl/KF1Hnf. The judge in Dr Tricoli’s (Judge Coursey) case gave Sovereign Immunity those who committed crimes against him (sovereign Immunity from criminal prosecution). The judge in Denise Caldon’s case sealed the evidence in her case so she could never use those documents to win her case, and so the public would never know the real truth about the crimes that the USG committed against her. Sadly, this is just the tip of the iceberg. Judges like Edlein, and Coursey should be called on the carpet for allowing criminal behavior like this to continue. Sovereign Immunity should not be supported or used by judges to protect and help the Attorney General cover up crimes by Georgia’s state executives. Are we not yet tired of the corruption in our state? So many good people have suffered the same fate to corruption and fraud. It’s no wonder the rest of the country laughs at us. We must elect ethical state leaders who will then appoint ethical department leaders over our state’s operations like the USG. Unfortunately our university system leaders are likely the most unethical and corrupt in the nation, and they have systematically eliminated anyone who opposes their unethical behavior, like those identified in this story. Olens is inextricably connected to a USG case of fraud filed by former GPC President, Dr. Anthony Tricoli. Olens is inextricably connected to a USG case of fraud filed by Dr. Dezso Bendek. Olens is inextricably connected to USG cases of fraud filed by Denise, Tim, John, so on and so forth. Two threads connect all of these cases of fraud, corruption, and RICO; it is the USG and our Attorney General Sam Olens. Olens also has an odd connection with Judge Susan Edlein. In each of these cases (and there are many) we see the same acts of obstruction, evidence tampering, misrepresentation of facts, collusion, concealing facts, claims of sovereign immunity, and judges who refuse to move these cases to a trial with a jury of peers. Our justice system is woefully lacking a very important component of the process of getting to the truth, it’s called justice. These RICO and corruption cases of Dr’s Benedek and Tricoli are signs of a sick and corrupt educational system and state government. Judge Edlein’s actions certainly appear to be unprofessional at best and illegal as well. Attorney General Sam Olens has looked away from state employed criminals instead of prosecuting them. Mr. Olens should be protecting Benedek and Tricoli against those who committed fraud against them and all taxpayers in Georgia. Dr’s Benedek and Tricoli should be commended for having the guts to stand up to these criminals. Sam Olens has told many of us that he wants to be our next governor. Is he serious? Does he think we’re crazy, or just plain stupid! Do your job Mr. Olens and go after the bad guys instead of protecting them. Judge Edlein is an embarrassment to our legal system. Georgia continues to amaze the rest of the country with one award after the other for the top corrupt state in the nation. Certainly that’s not exactly what Gov Deal meant when he said he wanted Georgia to be Number 1.